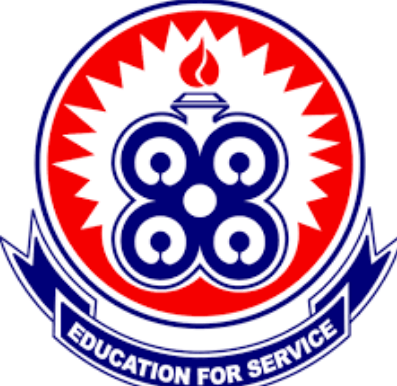 The Management of the University of Education, Winneba (UEW) has denied accusations of human rights abuses levelled against it by the Amnesty International Ghana. It described the accusations as a fabrication, false, and baseless. The denial was made at a press conference addressed by Professor Anthony Afful-Broni, the Acting Vice-Chancellor of the UEW. He said the Amnesty International, at a news conference in Accra, addressed by its Campaign and Fundraising Coordinator, Mr Samuel Agbotsey, had accused the University of abusing the human rights of some staffs and lecturers. Prof. Afful-Broni said no human right abuses have been meted out to any staff or lecturer as had been carried by the Amnesty International Ghana. He said: “Those who are peddling lies of human rights abuses are individuals who have decided that the rules and regulations of the University should only be applied if they serve their interests and causes. He said for the past 10 months some individuals had been scheming to bring the name of the University into disrepute. “The UEW is not unaware of the several other articles on online news portals that have been used to disparage the image of the institution and sow seeds of discord and confusion among a rather harmonious and peaceful university community,” he said. The Acting Vice-Chancellor said the Amnesty International was a credible global organisation whose activities and concerns on issues of human rights were recognised by governments, which were acted upon. Prof. Afful-Broni said the transfer of staff to work on any of the four campuses and the 38 Distance Education Centres had always been an administrative exercise to ensure that the right and required personnel were engaged to work towards ensuring the Vision and Mission of the University were achieved. He said the UEW was aware of the roles of one of its lecturers, Dr Vincent Adzahlie-Mensah, who is on the Amnesty International Board, and who was allegedly using the Amnesty International platform and Mr Agbotsey as proxy to pursue his own interests. Prof. Afful-Broni said the UEW had been peaceful since the academic year began in August 2017, saying that lectures had ended successfully and examinations were ongoing smoothly. There were regular management-students consultative meetings and monthly interaction with student leaders including all class representatives to deepen students’ participation in the governance of the University, he said. 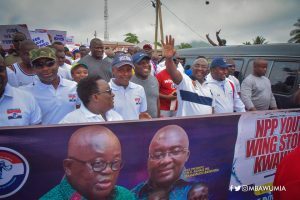 Prof. Afful-Broni said there had been three congregations in the last year and two this year, which were graced by President Nana Addo Dankwa Akufo-Addo and the Vice President Dr Alhaji Mahamudu Bawumia. The post UEW denies human right abuses appeared first on Ghana Business News.